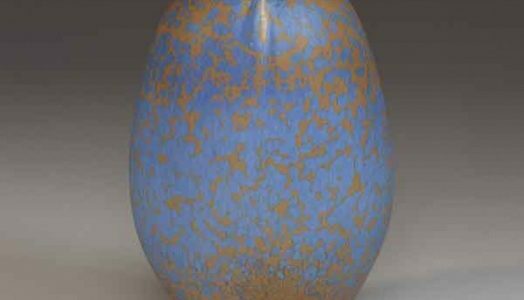 Collectors will once again have access to the latest works by leaders in the rich tradition of North Carolina pottery when potters from across North Carolina and surrounding areas return to Mint Museum Randolph for the 10th annual Mint Museum Potters Market Invitational on Saturday, September 6, 2014. Fifty outstanding North Carolina potters have been invited to participate in this year’s event, presented by the Delhom Service League, the ceramics affiliate of The Mint Museum, promoting ceramic arts and education. Every year, hundreds of pottery enthusiasts line up hours in advance of the opening to gain access to the day’s best treasures. The $10 admission fee includes access to the event, from 10 a.m. to 4 p.m., as well as free admission to The Mint Museum. Additionally, there are folk musicians, pottery-making demonstrations, and food. Children 12 and under are admitted free of charge when accompanied by an adult. Individual sponsorships of $100 include special parking, continental breakfast, and admission to the pre-sale at 9:15 a.m. For $150, sponsors can also attend the Meet the Potters Party being held Friday, September 5 from 6:30-9 p.m. Sponsors will enjoy dinner, music, and an opportunity to mingle with the potters and other pottery enthusiasts. Funds raised by Potters Market provide acquisitions of pottery and library materials for the Mint. Potters Market Invitational online admission begins August 1; details at this link. Admission is also available at the door. For questions, please email delhomserviceleague@gmail.com or for sponsor information call 704.733.9393. Find Potters Market Invitational on Facebook. On view for pottery enthusiasts at Mint Museum Randolph is North Carolina Pottery: Then and Now, an ongoing exhibition drawn from the best examples of N.C. pottery in the museum’s extensive collection. Also opening September 6 at Mint Museum Uptown is Beyond Craft: Decorative Arts from the Leatrice S. and Melvin B. Eagle Collection. Special exhibition admission is required, but free passes for opening weekend will be distributed to all PMI attendees. Above image: Benjamin Wade Owen III. American, 1968- . Edo Jar 2013. Stoneware. Gift of Daisy Wade Bridges. 2013.71.4. Collection of The Mint Museum, Charlotte, North Carolina.